As an Executive Search Coordinator with KBRS, Chiedza has a keen appreciation for the process and complexity surrounding talent acquisition and a determination to deliver excellent service to both our clients and candidates. Chiedza’s strategic approach, project management skills and business acumen are a result of her work experience and education. She has more than 5 years of professional recruitment experience working with leading recruitment firms in South Africa. She holds an MBA and a Post Graduate Diploma in Business Administration from the University of Cape Town and a Bachelors in Business Management and Information Technology (Hons) from the Catholic University in Zimbabwe. She also speaks three languages; English, French and Shona. 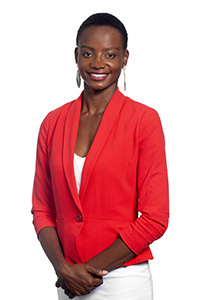 In her spare time Chiedza enjoys travelling, volunteering in her community and spending quality time with her family.